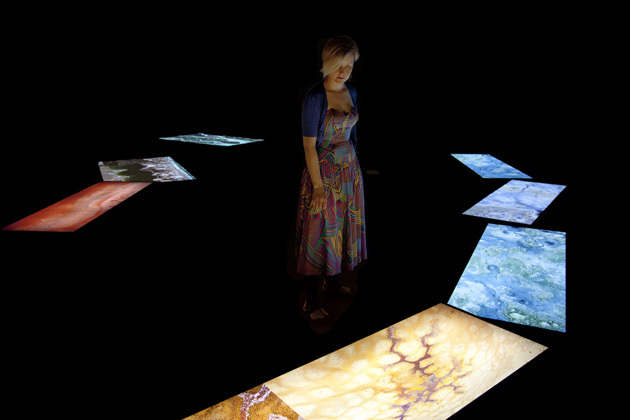 Incompatible Elements is a project that evolved during an artist residency at Performance Space, Carriageworks, Sydney. 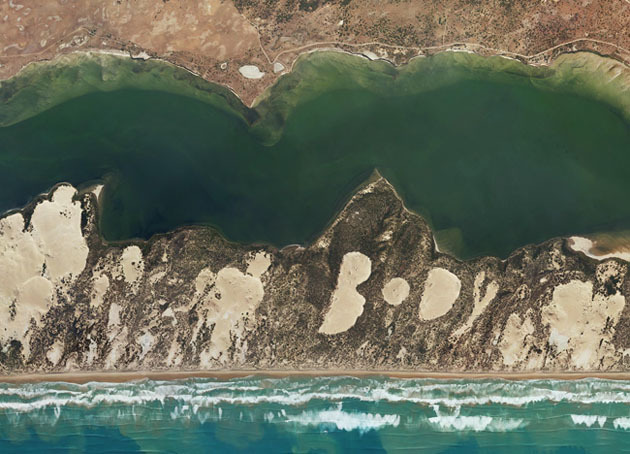 In this media art installation, poetic texts are embedded into animated satellite images of terrains and waterways in crisis. The intention is to configure the land as active and to imagine it being able to speak and make comment about human impacts upon it. The latest iteration was shown in the Maldives Pavilion at the 2013 Venice Biennale opening on October 15th at the Gervasuti Foundation, curated by Camilla Boemio. The installation was first exhibited at Performance Space Carriageworks, Sydney in October 2010, at MIC | Toi Rerehiko as part of the Auckland Arts Festival in March 2011, Seoul as part of the Sydney and Sookmyung exhibition, November 2011, at the Museum of Contemporary Art in Taipei in 2012, and at Canberra Contemporary Art Space in 2012. 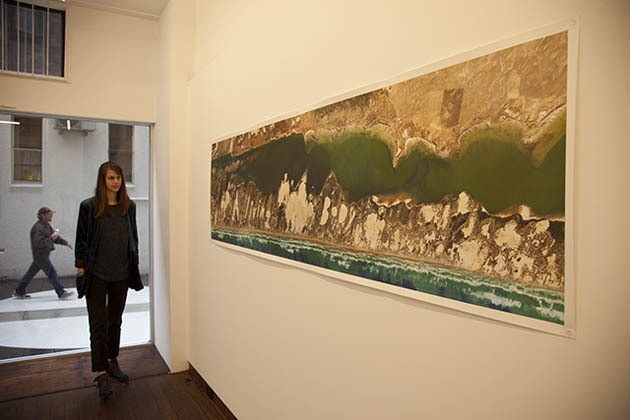 The largescale prints version of Incompatible Elements was exhibited at crossarts projects gallery in Sydney in August 2013. Incompatible Elements version02 at Cross Art Projects in Sydney ran from May 23rd - June 30th 2013, with an opening an artist talk at the gallery on June 1st at 3pm. Four large prints and 2 videos from Incompatible Elements body of work were on show. Review by Janine Randerson of Incompatible Elements at the Auckland Arts Festival, NZ, March 2011.
Review by John Hurrell of Incompatible Elements at the Auckland Arts Festival, NZ, March 2011. 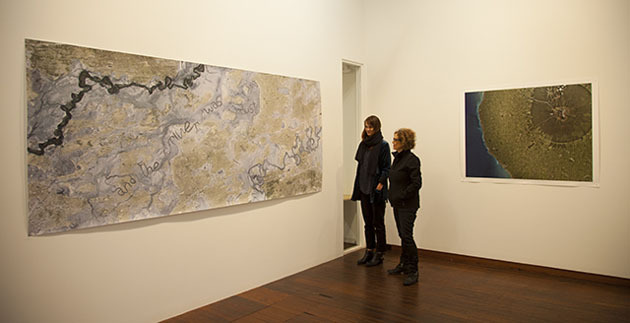 In Incompatible Elements, environments and ecologies that are hanging in the balance; from the Ganges Delta to the Coorong in SA, are rendered as aerial landscapes that sweep slowly by. 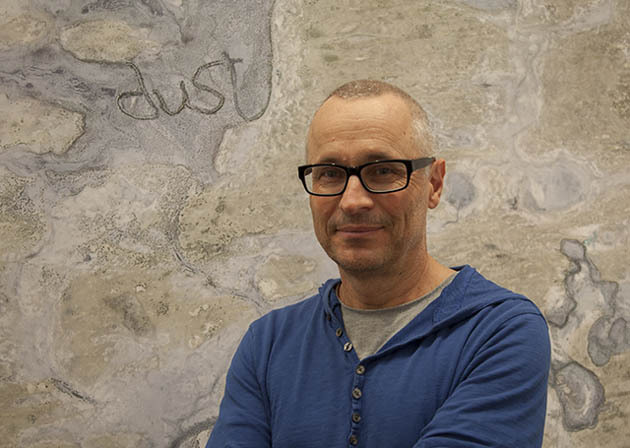 Embedded in these scapes are texts that emerge from the manipulation of pixels representing earth and water – and so Starrs & Cmielewski engage in kind of digital geochemistry, terraforming new waterways and barren patches of sand that tell stories in winding, cursive script. Bec Dean, catalogue essay 2010. The quote in this video ‘a living body’ is from Tom Trevorrow, a Ngarrindjeri elder and custodian of the Coorong in South Australia.